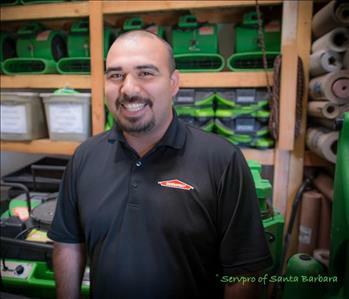 SERVPRO of Santa Barbara has been locally owned and operated by Jamie Glimp for over 15 years. 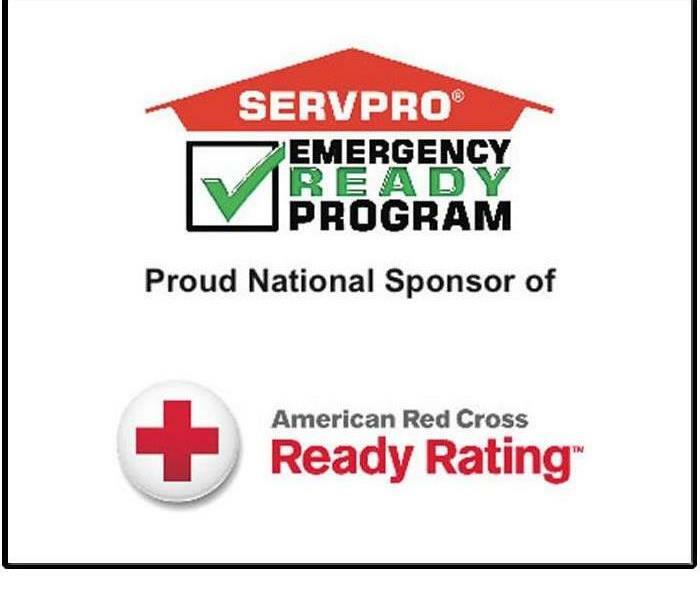 Jamie takes pride in being part of the Santa Barbara community and is happy that he is able to help his neighbors and friends get their lives back together after damage to their home or business. When you have a fire or water damage, he is already here in Santa Barbara and ready to help. Jamie was born and raised as a farm boy in Shandon, California which is in nearby San Luis Obispo County. He graduated from Shandon High School in 1988 and started working as a commercial glazier. Later, he moved on to auto glass installation, working his way up to a management position running an auto glass shop in the Five Cities area of San Luis Obispo County. While Jamie worked managing the glass company for several years, a good friend of his purchased a SERVPRO franchise. When he was not working at his day job, Jamie would help out his friend, cleaning carpets, ripping out wet drywall, going on after-hours calls and working weekends. This was a great opportunity to learn the ins and outs of running a SERVPRO franchise and Jamie saw how much people appreciated the work that he did. 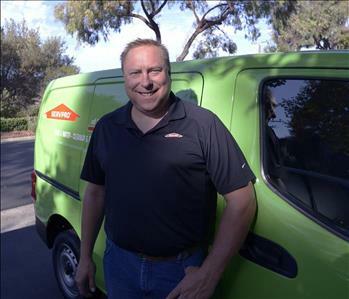 When the SERVPRO of Santa Barbara franchise became available, Jamie jumped at the opportunity to be in business for himself and to be able to help those in the local community. 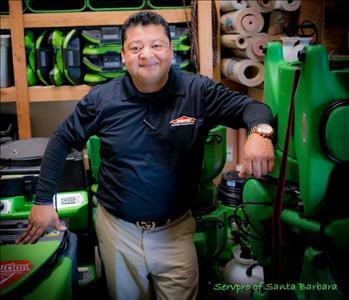 SERVPRO of Santa Barbara is one of the oldest franchises in the SERVPRO system. 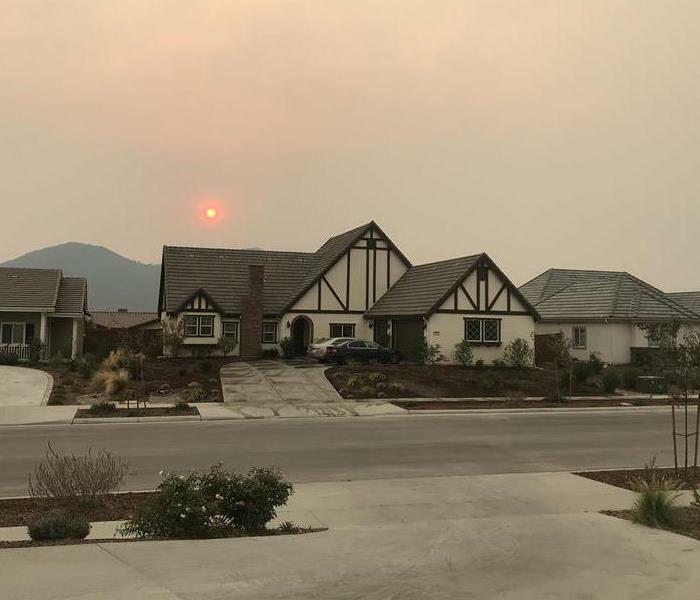 They currently work on a regular basis in the following communities: Santa Barbara, Goleta, Montecito, Carpinteria, Summerland, Buellton, Santa Ynez, Solvang, Lompoc, Los Olivos, La Conchita, Mussel Shoals, Isla Vista and Ballard. Jamie is still fully involved in the success of his SERVPRO franchise on a day-to-day basis. He and his wife Cheri have a 3-year-old boy, John, and their goal is to keep active in SERVPRO until they can hand the business off to the next generation. In his free time, Jamie loves to spend time with and travel with his family. He is the proud owner of a chocolate lab named Shilo and is a big animal lover. An avid cyclist, when he is not riding his bike, he enjoys having fun with muscle cars and checking out the latest technology.